In addition to a new playing formula that will bring nations together for a weeklong tournament in a single venue, the Davis Cup is also implementing a new sponsorship strategy that will make tennis’ top team competition look different to television viewers — all depending on where they are watching it. The group behind the new Davis Cup — led by Barcelona defender Gerard Pique — is planning to use virtual replacement advertising during broadcasts at the inaugural “World Cup” of tennis in Madrid from Nov. 18-24, meaning sponsors’ logos and banners will be superimposed digitally on the courts. 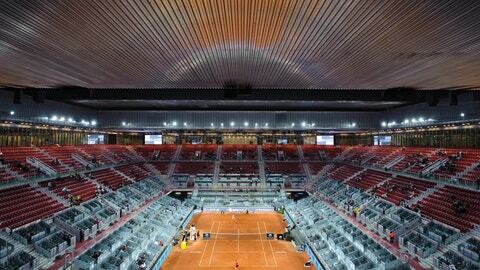 A viewer in the United States will see something different than one in Asia or one in Europe, or those watching matches in person at Madrid’s “Magic Box” tennis complex. The technology, called “DBR,” or digital board replacement, is already being used successfully by the Spanish soccer league, a sponsor and partner of the revamped Davis Cup. The league says it was one of the first competitions to implement the virtual sponsorship strategy some five years ago, and currently it distributes specific feeds to nine different regions. The technology allows for customized images to be superimposed anywhere on the field without being affected by camera movement or the position of players. It is used especially on sideline boards and the “3D” carpets near the goals in soccer matches. Similar technologies have been used in broadcasts of auto racing, golf tournaments and American football games, showing speeds, distances and first-down markers to add to the viewers’ experience. Kosmos’ goal is to have at least three separate regions with specific feeds in this inaugural season, expanding it to more territories and new sponsors in the coming years. “At the end of the day, you can multiply by three or four the income that you are generating because the expense is not huge,” Alonso said.